Made from hardened steel and precision ground. Supplied with three fully adjustable blades which can be set and fixed into position using a locking nut on the stock. 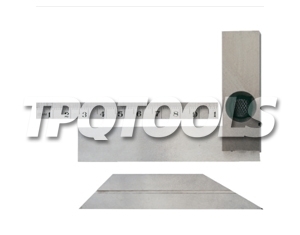 One plain, parallel blade for use as a conventional engineers square, 30&deg; and 45&deg; bevel edged blade for checking angles, and a narrow blade graduated metric and imperial.